[Woburn, Mass.] 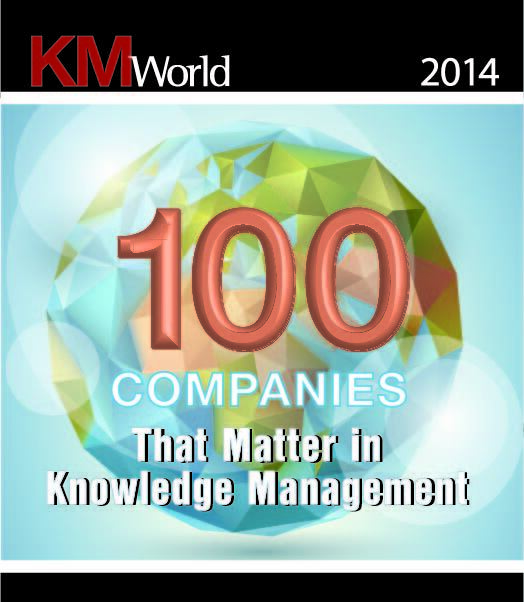 March 1, 2014 – Comindware (https://www.comindware.com/), the innovative provider of business process management (BPM) and project management solutions, today announced that it has been named one of KMWorld’s 100 Companies That Matter in 2014 for delivering a distinctive approach to driving business performance in the knowledge management industry. “Criteria for inclusion in the top companies list varies, but they all share two things—velocity of innovation and the agility to properly serve customers. Comindware has proven to break down the barriers of the traditional work management industry by providing its customers with practical innovation through its cutting-edge technologies,” said Hugh McKellar, editor-in-chief, KMWorld. Comindware provides businesses worldwide with a complete work management product portfolio for managing tasks, processes and now projects through its easy-to-implement and -use solutions, including Comindware Tracker, the adaptive BPM suite, and Comindware Project, a project management and enterprise social collaboration tool. Built on top of Comindware Team Network, Comindware Project was released in January 2014 as a brand-new Project Management solution combining, for the first time among its competitors, professional project planning, execution and social collaboration into one dynamic solution. Comindware is a pioneer in adaptive business process management and is now entering the market of project management solutions with its state of the art Comindware Project product. The company was founded in 2010 and is led by a team of successful serial entrepreneurs with roots in several industry-leading software companies, including Acronis, Inc., Parallels and Kaspersky Labs. A privately run firm, Comindware is headquartered in Woburn, Mass. KMWorld is the leading information provider serving the Knowledge Management systems market and covers the latest in Content, Document and Knowledge Management, informing more than 40,000 subscribers about the components and processes – and subsequent success stories – that together offer solutions for improving business performance. KMWorld is a publishing unit of Information Today, Inc.